We are a small program located in one of the most marginalized barrios of Guatemala City. (1) We provide educational opportunities to local children. community service in this small corner of the world. Caminando Por La Paz is a social movement functioning under the norms of the Catholic Church. We strive to respond to the values inherent in the charisma of the Fathers and Brothers of Maryknoll. Our purpose is to include in our program those persons who are at risk of gang behavior, drug addiction or disintegration of conscience, thus losing their m​oral and social values. Our philosophy is based upon the four pillars of Maryknoll Affiliates: Community, Spirituality, Global Vision, and Action. Spirituality: In the program we have daily prayer and mass attendance. Such practices lead to awareness and development of good ethical and moral values. We celebrate a holy hour for our participants and neighbors each Friday afternoon. It is not necessary that participants at our holy hour or any other activities be Catholic; they are, however, expected to have respect for the norms of the church. They are encouraged to express spiritual values in their own appropriate way. Additionally, we strive to provide occasional spiritual journeys to places of religious significance or just to provide a day of reflection and relaxation. Education: Education is our primary focus. Our founder Father Tom frequently remarked that "Education is the window to a better future." We firmly believe this and, therefore, have set up various educational opportunities for the community we serve. We have placed many children in local schools and even a few in universities. We provide tutoring at the program house. We require attendance at tutoring sessions of all who we place in schools. Our program is open to all neighborhood children, many of whom have no other educational opportunity. As of June 2017 we have 25 students in K-12 schools and 4 in the university. There are also approximately 65 students attending our tutoring sessions. Community Outreach: We strive to assist our neighbors in any way possible. We helped remodel one home. We work with the local nuns to provide free bread to those most in need. Working with Shoes to the World, we have distributed 400 pairs of shoes over two years. When possible, we provide transportation to those with special needs. At times we are able to provide English lessons to the community. Our house has become a meeting place for various community activities. Nutrition: Malnutrition is a major problem in Guatemala. In fact one survey a few years ago concluded that the prevalence of malnutrition in Guatemala is greater than in Africa. We are located in an area populated by those who came from the mountains of rural Guatemala looking for a better life which they did not find. We are very fortunate to be able to provide a lunch program to the children who come to tutoring. In 2014 we began to look more seriously at the need to become financially independent. 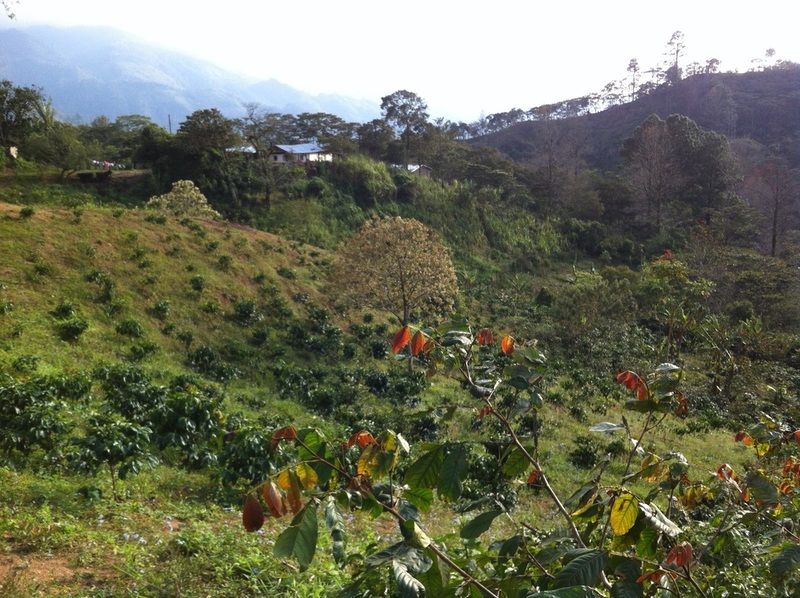 After looking at various opportunities we decided to enter a partnership with a group of coffee producers in Honduras. Thus, Our Family Coffee Project was born. Currently we sell the coffee at various outlets including our internet store at: fathertomsfamilycoffee.org The price of this coffee is $12 per pound. However, we offer a discount when three or more pounds are purchased at the same time. The goal for Our Coffee Project is to become totally self-sustaining by 2020 so that we can provide for our on-going financial needs as well as continued growth. We are currently seeking market share. This includes our reaching out to various groups and offering to partner with them in coffee sales as a means of Fund Raising. We welcome your request for additional information. When Father Tom arrived in Guatemala he spoke with the Cardinal to ask permission to live in the ravines of our barrio (Paradiso II). He wanted to achieve a spirit of solidarity with the poor who live here. He told the Cardinal: "I am not a pastor, but I collaborate with several parishes....The work I do, I do on the streets, a place where very few care to work." The chosen path of working with the poor occurred to Father Tom over many years. First, as a high school student, he heard the words of Dorothy Day, the founder of the Catholic Workers Movement. Later, as a diocesan priest, he worked with youth gangs in the slums of Hartford, CT. Finally, he fully heard the mission call in 1980 when he learned of the murder of religious workers in El Salvador, including two Maryknoll nuns and a Maryknoll lay missioner. We consistently recall one of his favorite sayings: "Education is the window to a better future." From the time he heard Dorothy Day speaking to his high school assembly in the 1950's, he was drawn by the combination of social activism and non-militaristic living in the midst of the poorest neighborhoods as one with the other residents, always based in and coming forth from his Eucharistic faith stance . He constantly emphasized developing relationships in the neighborhood and managed to call forth cooperation where there had been none before. He continuously strove to connect people, even groups of his contacts in the USA, with those in the other countries where he ministered. His emphasis was always to help those in need by experiencing and walking in the shoes of others elsewhere. He taught that we all must work to live in each other's reality.